Want to make sure your 3D scans turn out as crisp as possible? Make sure to follow these five tips! Calibrating your scanner ensures that the software knows the relative positions of the cameras to the scanner bed. You will need to calibrate when first setting up your scan, and also if the scanner head or turntable is moved.You may need to re-calibrate if the meshing is not succeeding, or if the object does not appear correctly in the image of the turntable on your monitor. 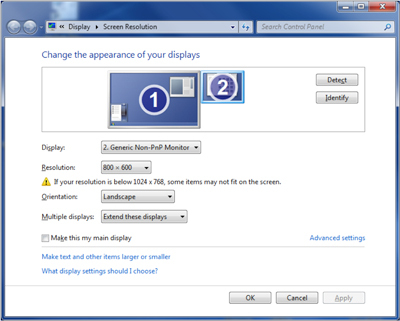 Ambient light levels affect your scan. Generally, low light levels are good (for texture scans, very low light levels), but in some cases a little more ambient light can make a big difference. Experiment with the amount of light, and the position of the light source, until you get the best results. 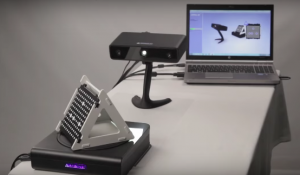 This scanning technology is based on the refection of light. Black is a color that absorbs light. If your object, or a portion of it, is black you may be able to improve your scan by brushing the black surface with a light dusting of baby powder (talc) or cornstarch. If you need to prop up your item, or stabilize it in some way, black supports are the way to go – they will not appear in your scan. Need to scan a large part? Check out our blog on scanning oversized parts. Now that you’ve got some tricks up your sleeve, get to it! If you feel like sharing, post a picture of your object and your scan on our Facebook page, or post it to Twitter and include our handle @Afinia3DPrint. We’d love to celebrate your scanning success.